Spacious light filled floorplan 'The Marquette'. 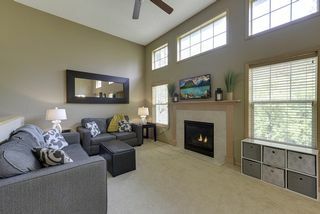 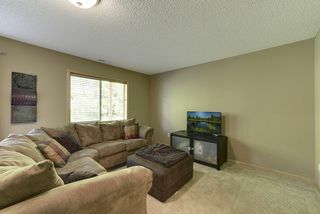 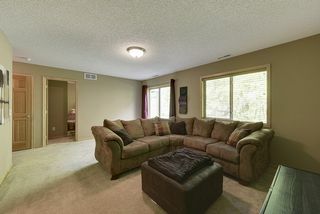 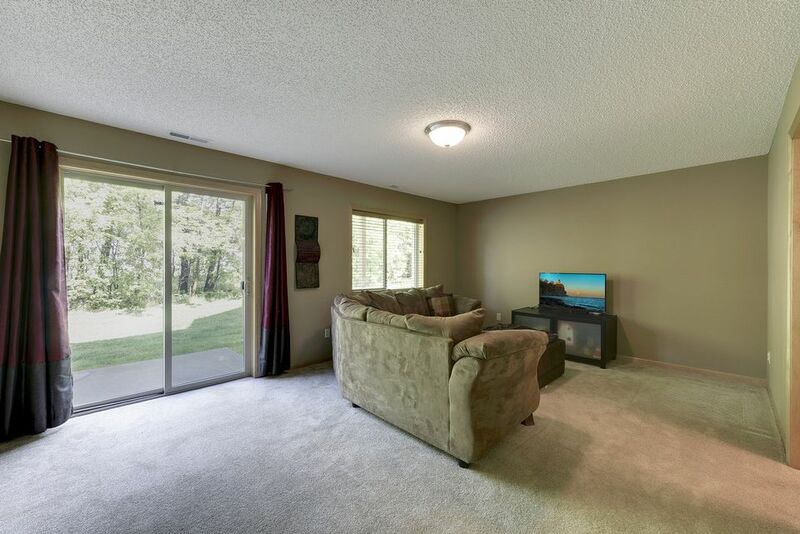 Great room has volume 2-story ceiling with upper windows, gas fireplace. 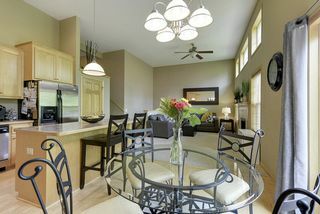 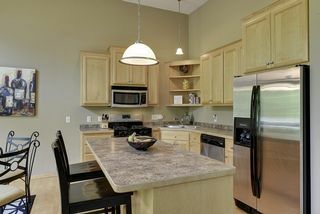 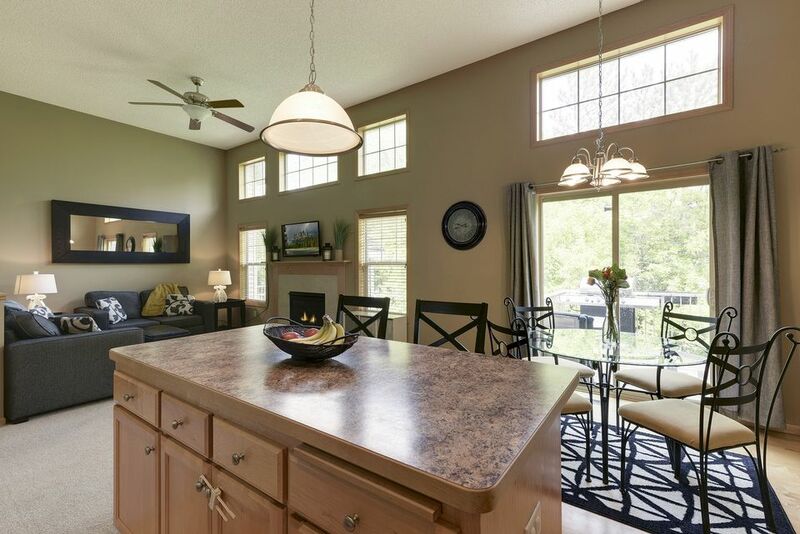 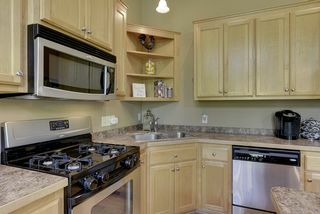 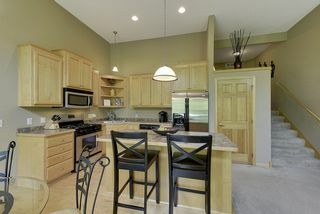 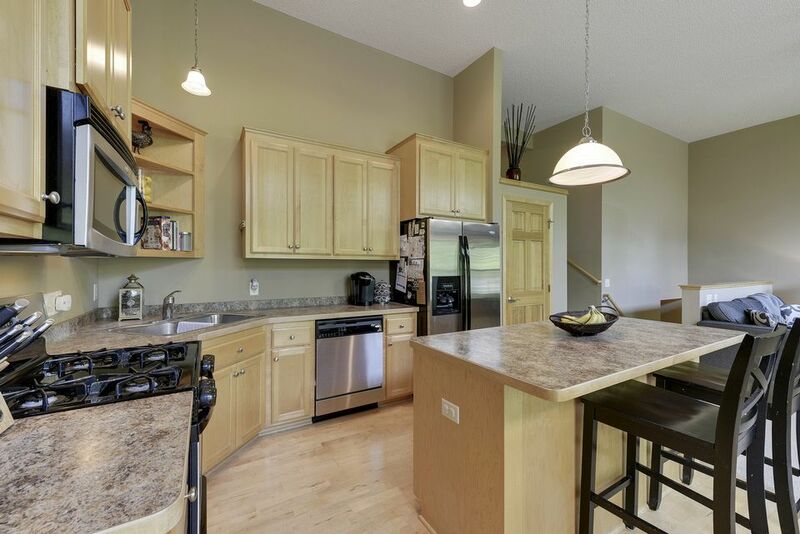 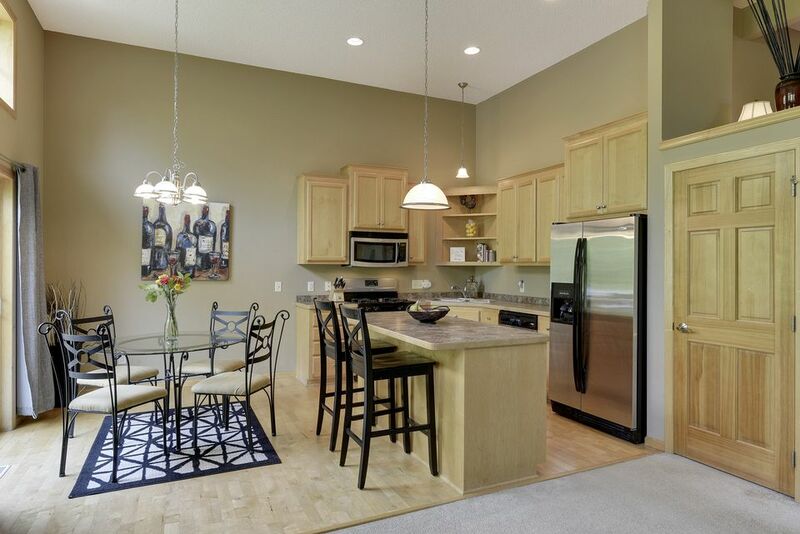 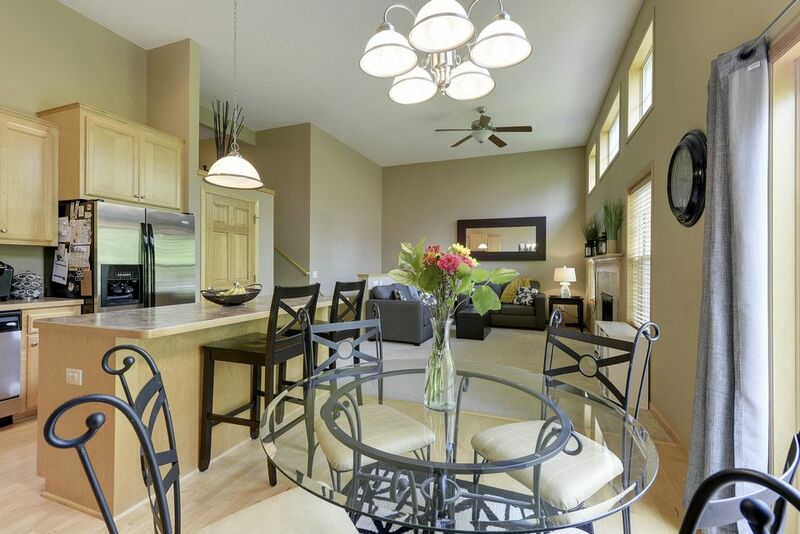 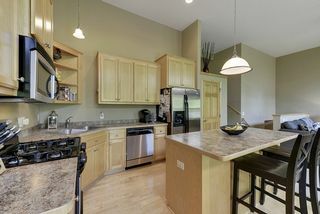 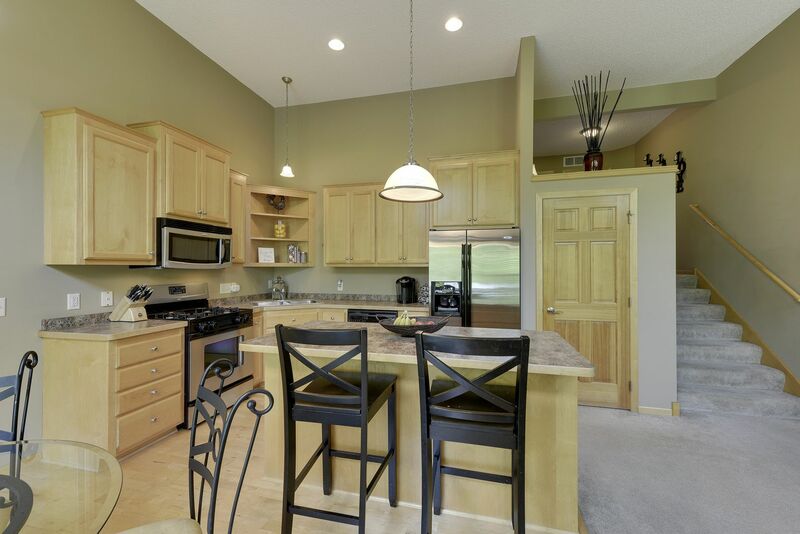 Large kitchen island with snack bar; maple cabinetry and wood flooring. 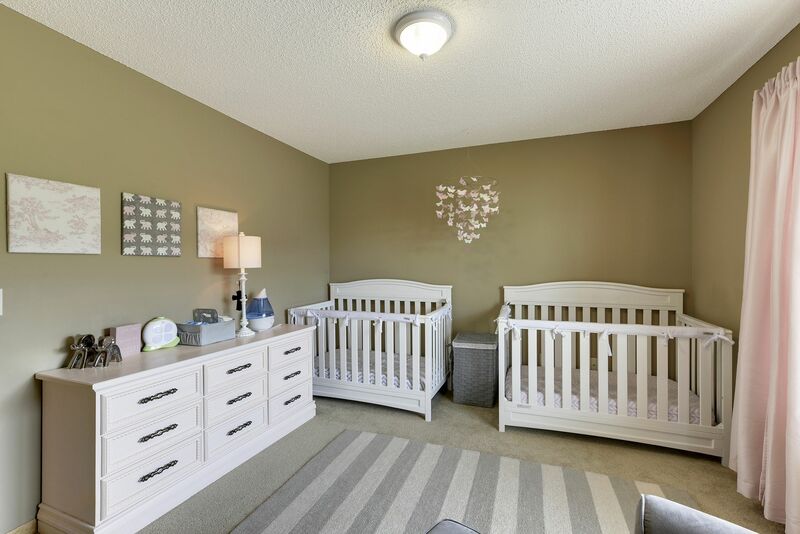 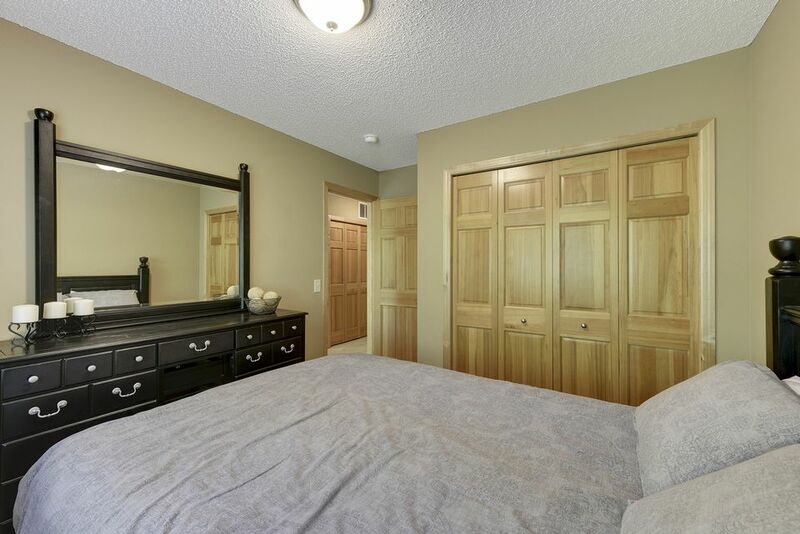 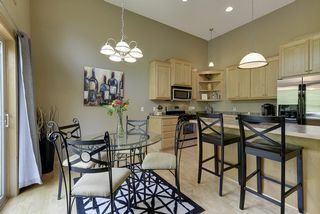 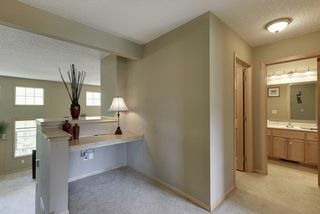 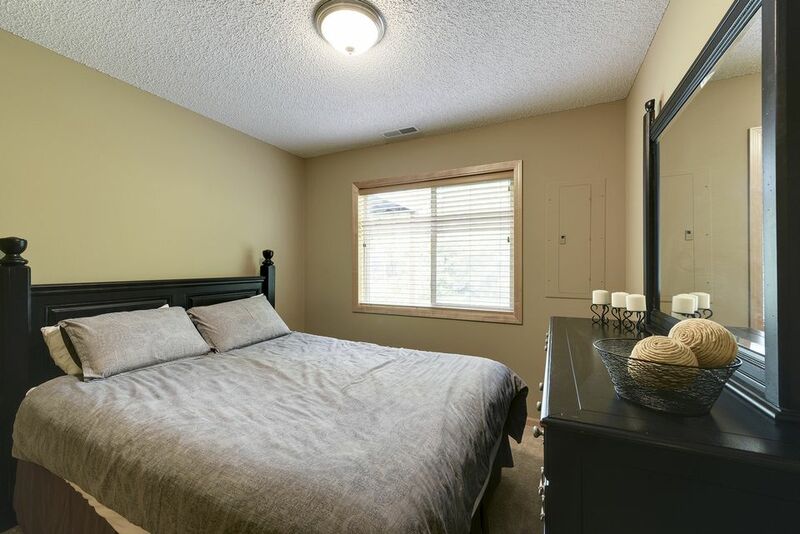 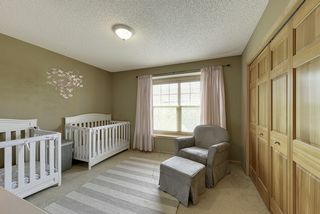 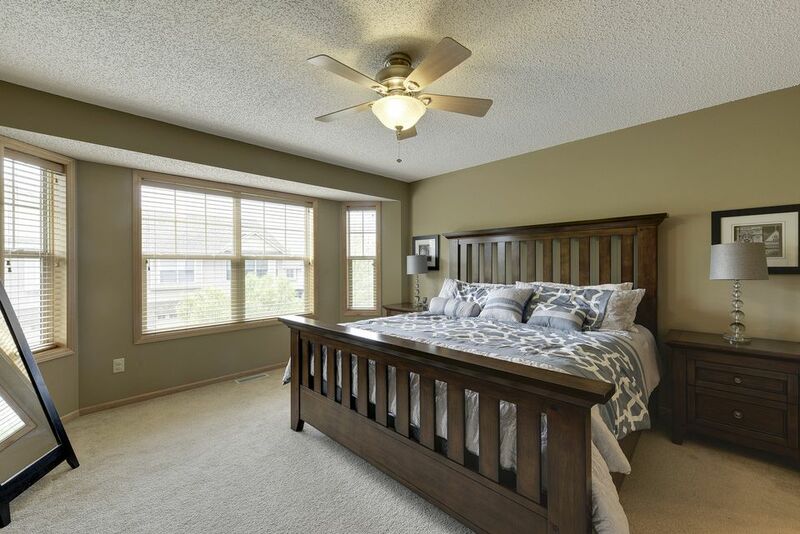 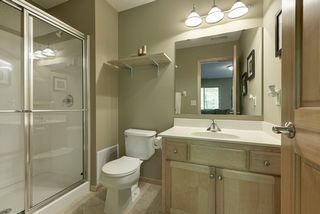 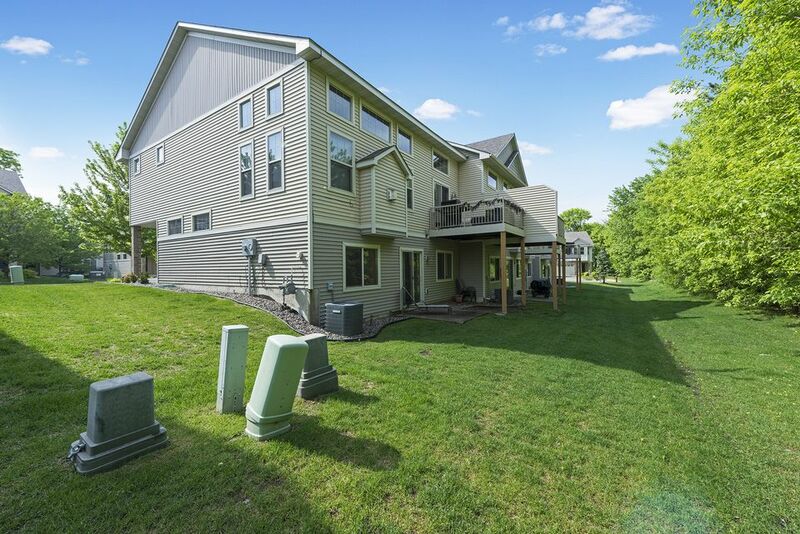 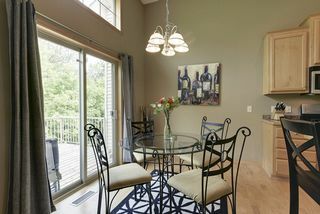 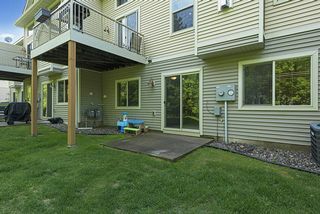 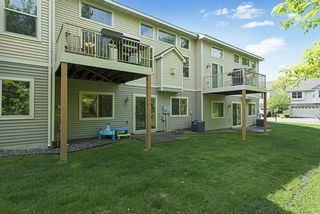 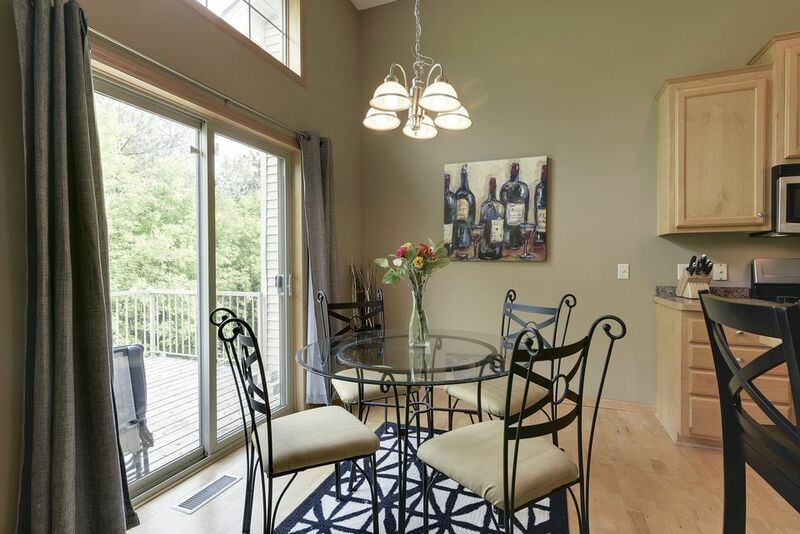 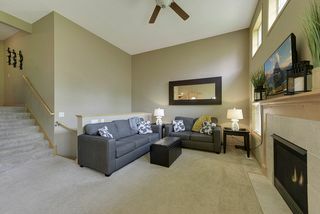 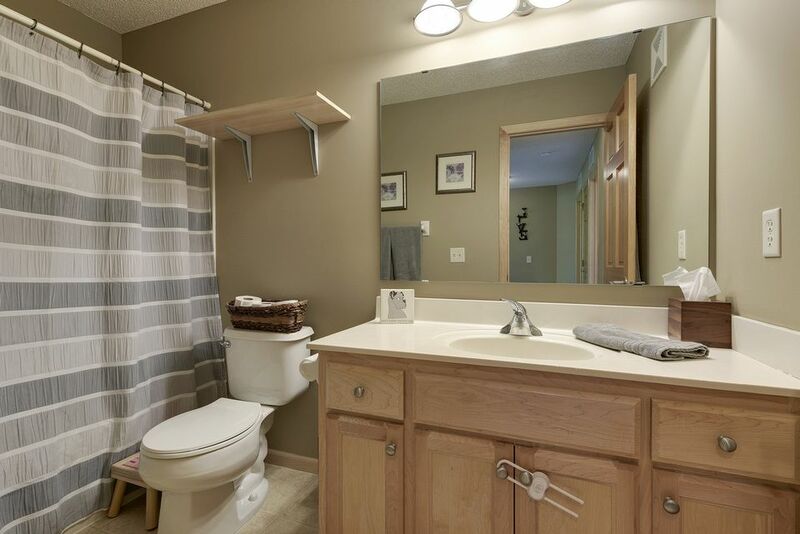 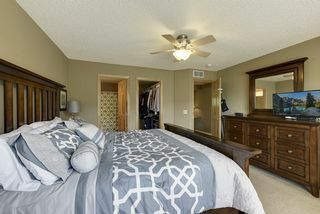 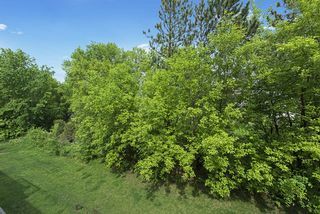 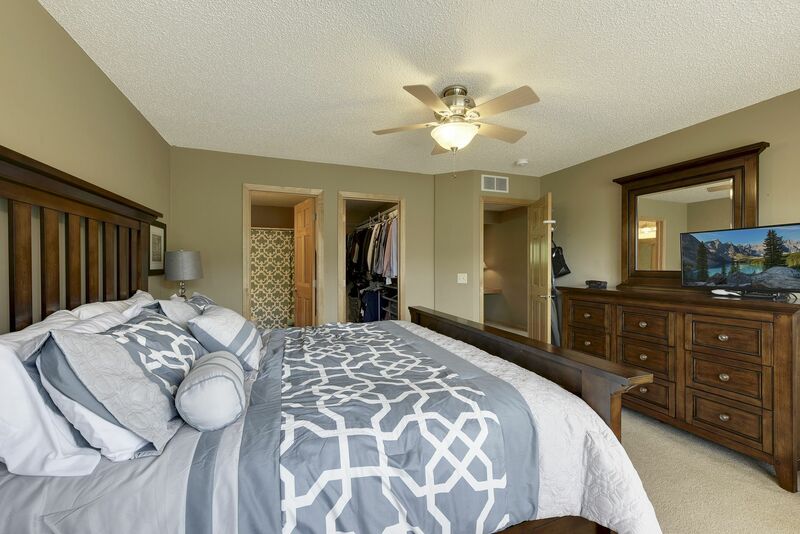 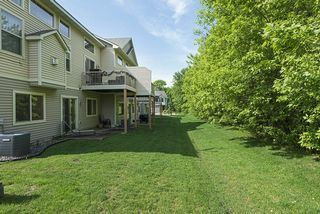 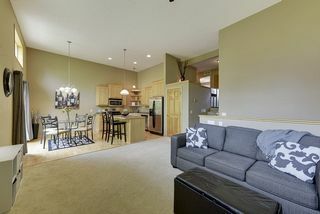 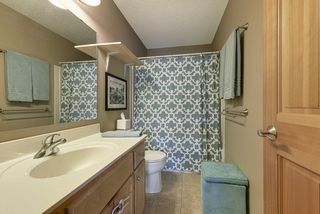 Upstairs, the master suite has bay windows, large walk-in closet & private full bath. 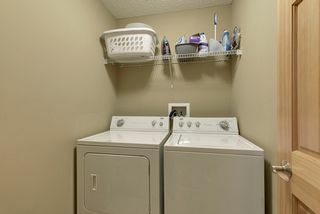 A 2nd bedroom, full bath (tiled floors), laundry room and office loft. 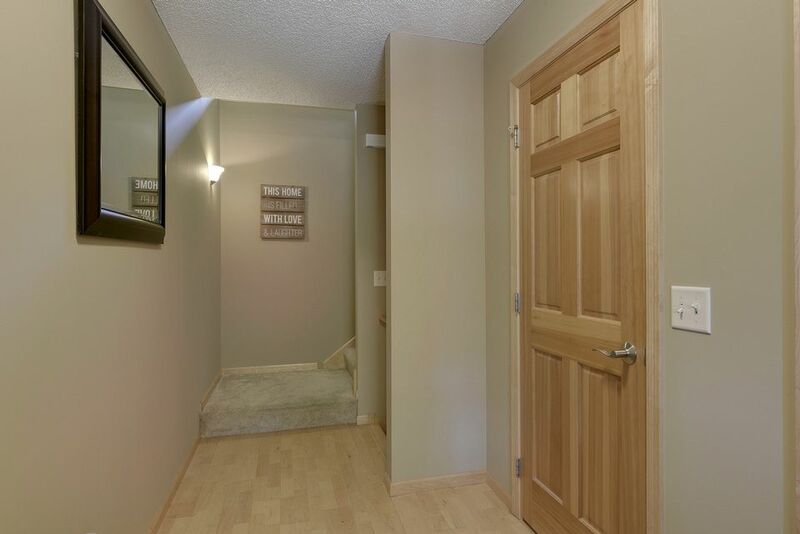 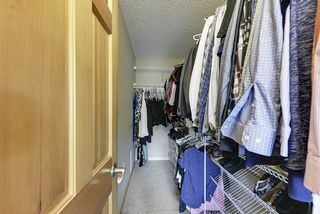 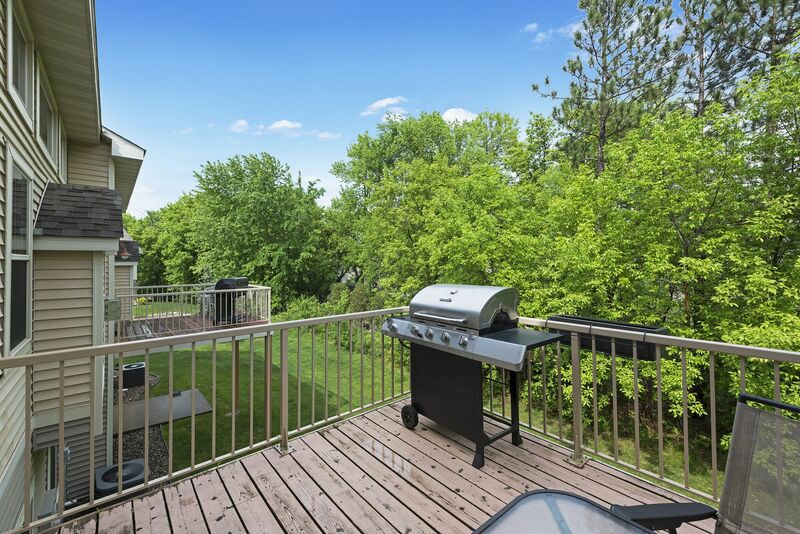 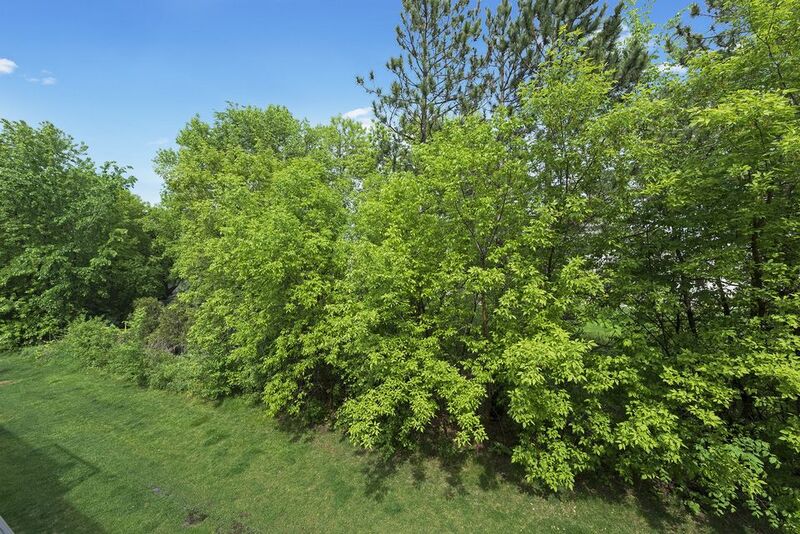 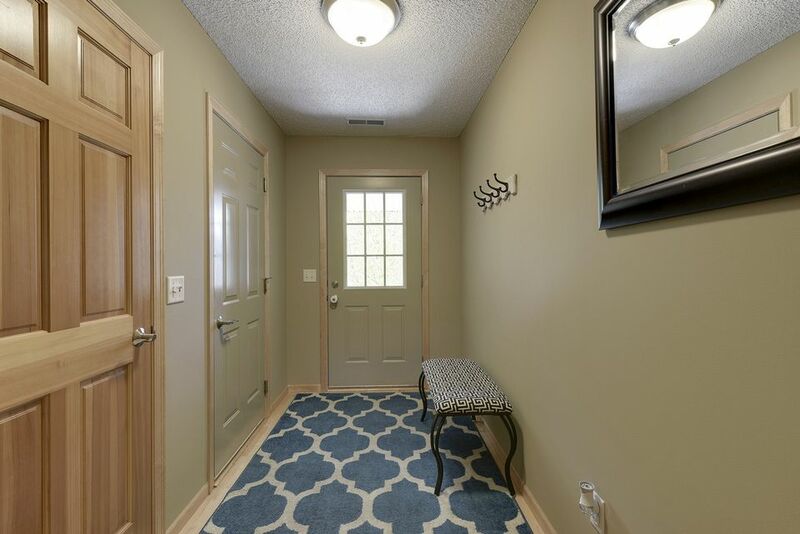 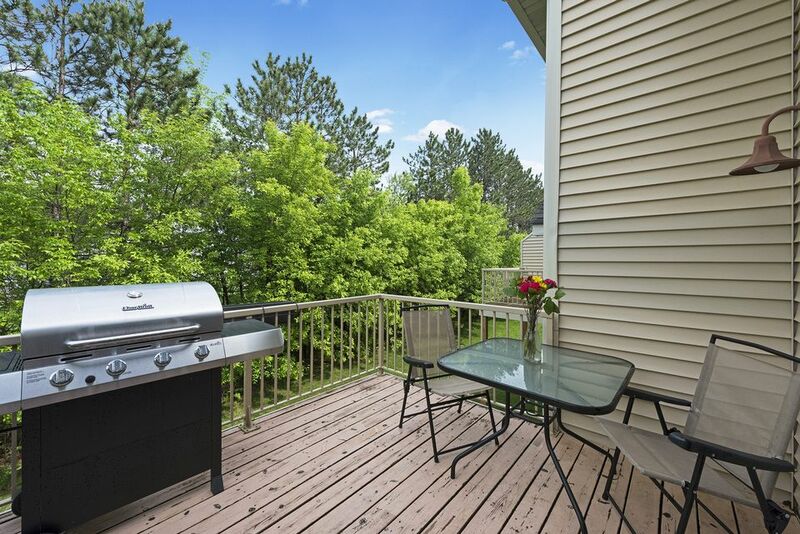 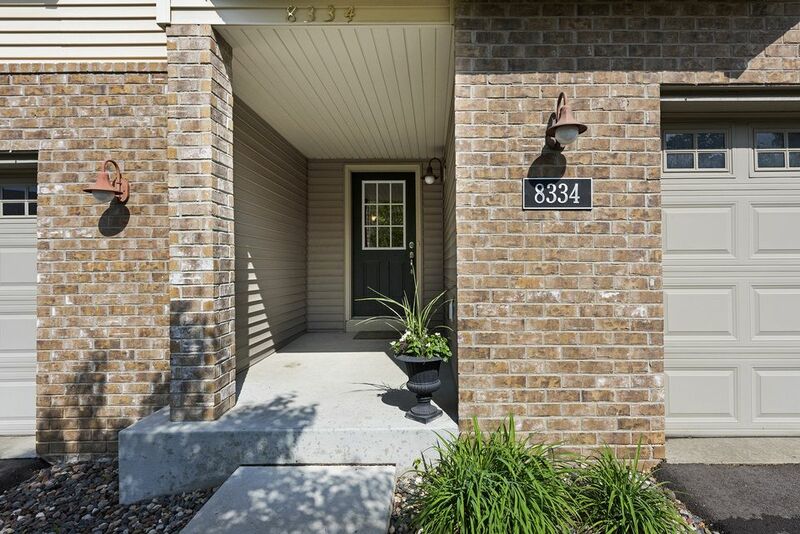 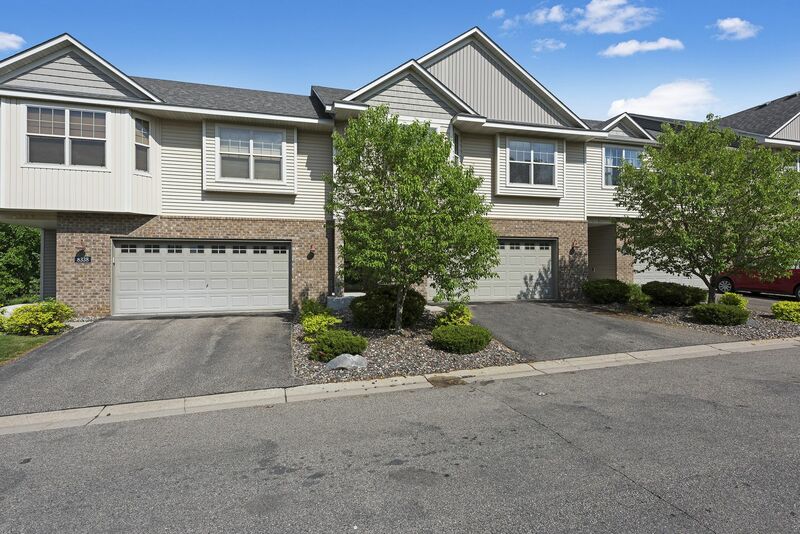 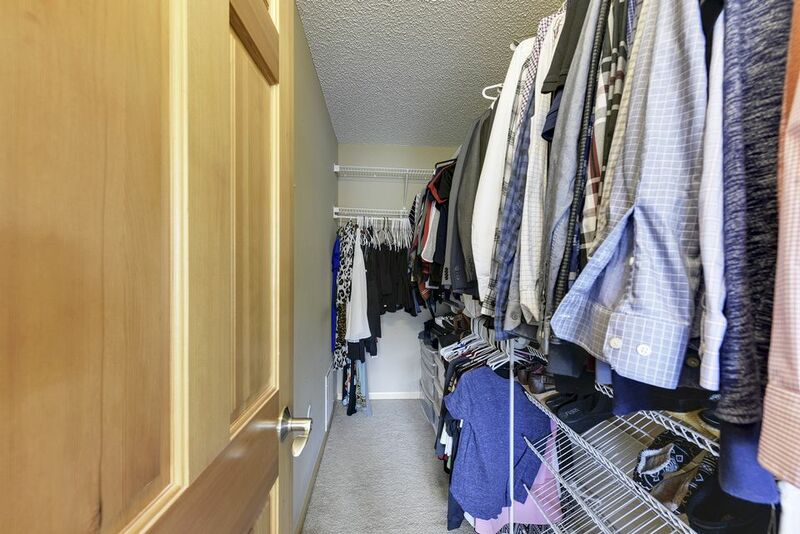 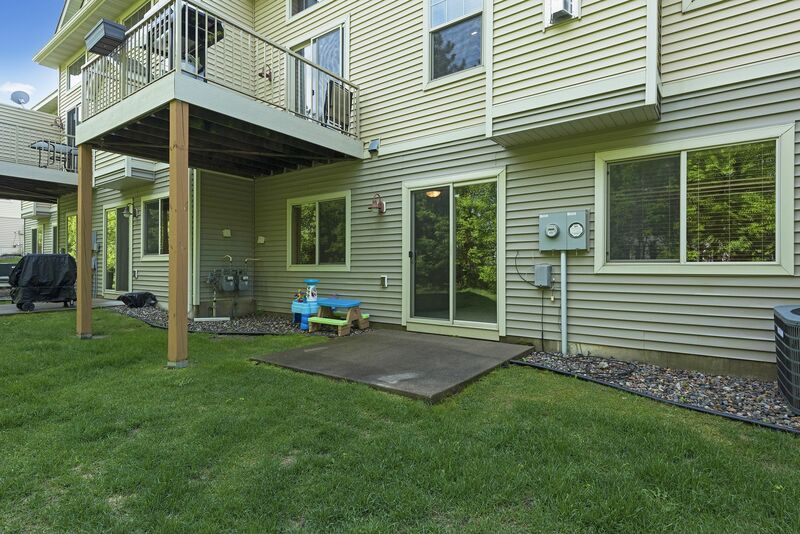 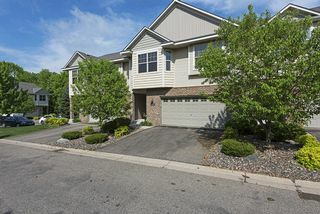 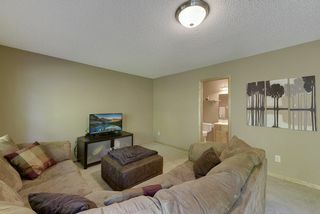 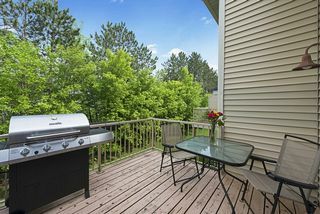 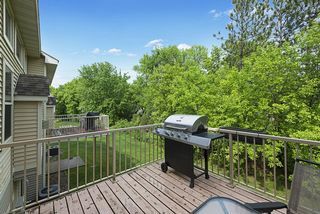 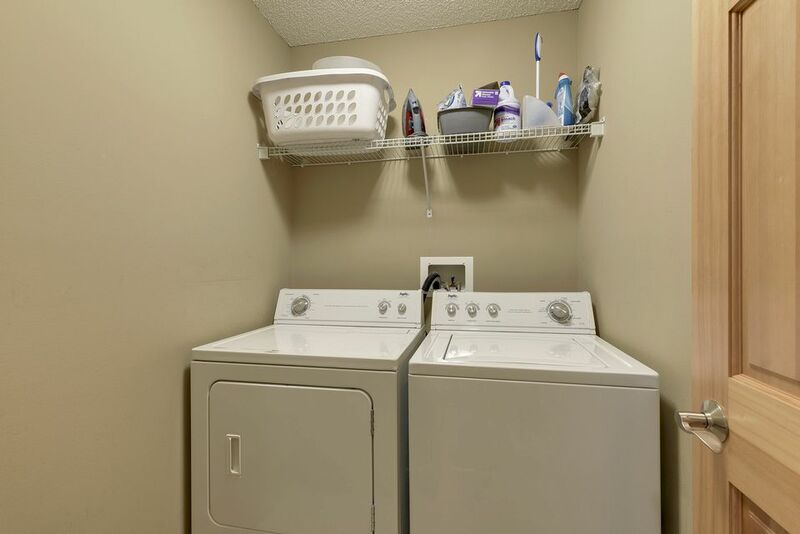 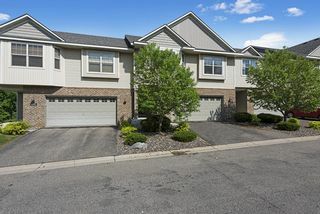 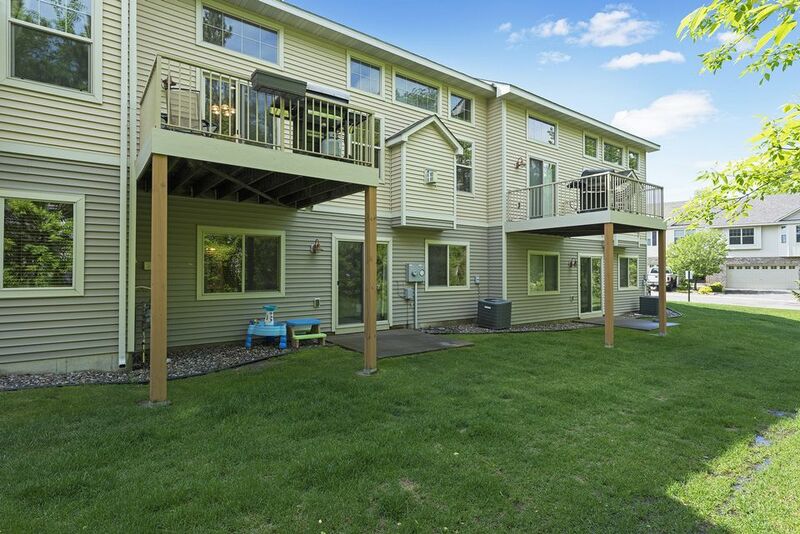 Walkout lower level with family room and 3rd bedroom plus ¾ bath. 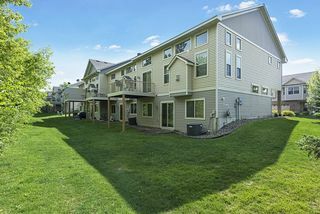 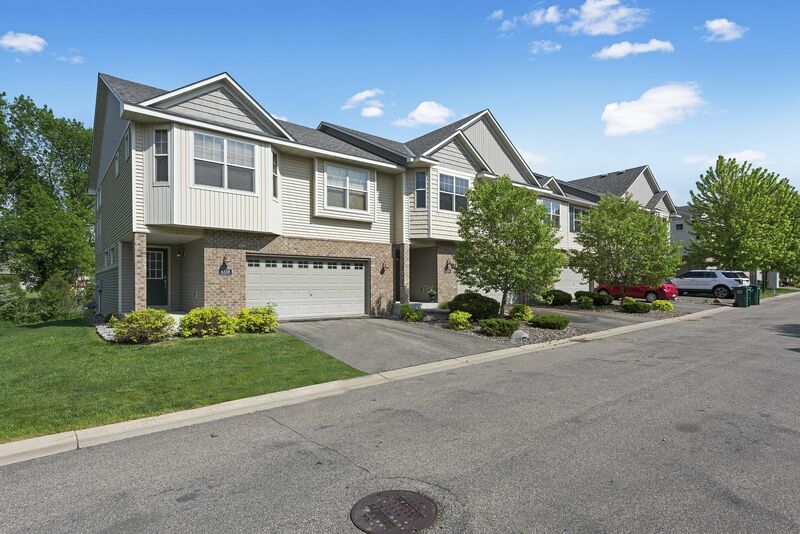 Beautiful neighborhood next to schools & parks.